Victor Steadman used to walk many miles a day until a spinal injury and subsequent wear to his right ankle, followed by surgery to rebuild his foot reduced his mobility considerably. 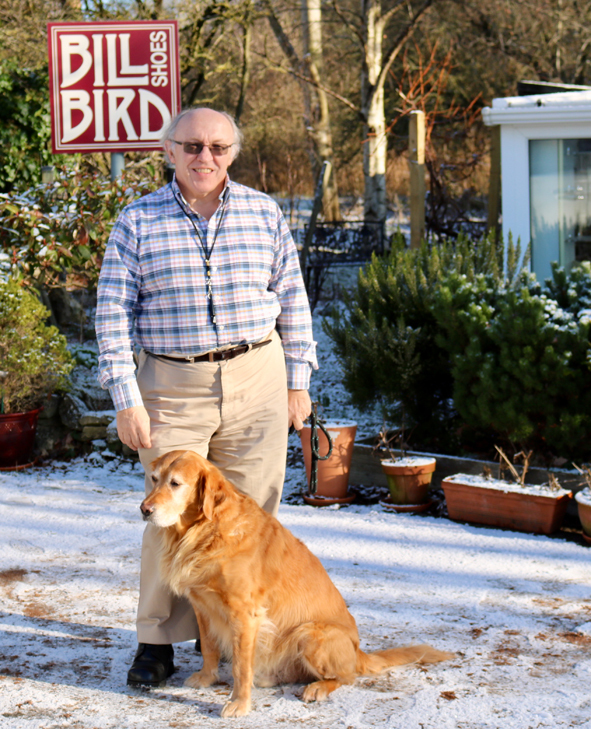 The pain he experienced when walking prevented him from getting out and about, which was terrible for him but delighted his ten-year-old golden retriever, Ben. But that has all changed now thanks to his new fell boots crafted by the bespoke shoemakers at Bill Bird Shoes in the Cotswolds. “I am now walking around 8 miles a day, so it’s no wonder Ben is complaining,” said Victor. “Previously I’d had some NHS orthotic shoes made but they just weren’t comfortable. I found Bill Bird Shoes in an internet search and I was pleased to find they were only two hours away from us in Corsham, Wiltshire. Bill Bird said he was delighted to craft the fell boots for Victor that allow him to walk with confidence and in comfort – and hopes he hasn’t upset Ben too much!